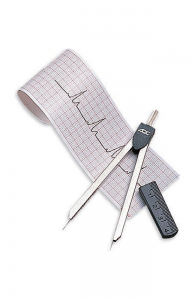 The Telemetry Technician or Cardiac Monitor Technician course is designed to prepare students to read and interpret cardiac arrhythmia’s of those patients who are on cardiac monitors. Calipers included. The Telemetry Technician or Cardiac Monitor Technician course is designed to prepare students to read and interpret cardiac arrhythmia’s of those patients who are on cardiac monitors. A majority of hospitals now require that Telemetry Specialists complete an approved training course prior to hire. Additionally, most hospitals also require certification at the national level. 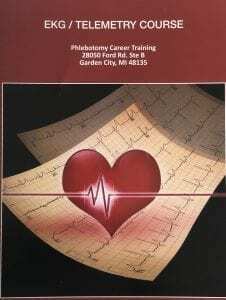 Phlebotomy Career Training is the first school in the U.S. to train students specifically in Telemetry interpretation. The standards of training at PCT require all students to obtain the requisite knowledge needed to keep patients safe. Providing students the additional option of national certification helps with employment opportunities. 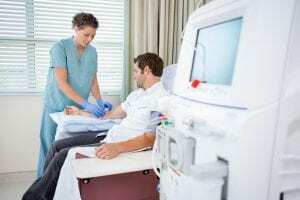 The national certification through the NTA is recognized throughout the United States and is the required exam by many hospitals across the country. Students are given up to 6 months to complete the course, though the course can be completed in a shorter amount of time, depending on the students background and study availability. Upon registration, the instructor will contact the student with the necessary information on how to access the course and other necessary information. Students are given unlimited access to all of the online educational materials which include, classroom video lectures, interactive practice exams and much more. The student is in control of their course. Enrollment begins upon registration. There are no clinical hours required for the Telemetry Technician Course, since simulation videos will be provided to mimic real time hospital environment. Upon course completion, students will receive their certification as a Telemetry Technician along with a transcript. Each are hard copies which include the schools seal and are mailed to the student. The National Telemetry Exam through the National Telemetry Association is also included in the course tuition. Students will be certified throughout the United States and Canada. Upon passing the NTA, students will be mailed a hard copy certification, a NTA sew on patch, letter of completion and a code of ethics. The students name and certification will appear on the NTA’s website for verification. Professor Kimmel is the leader in telemetry education and instruction. Dr. Kimmel is the author of several nursing education books and clinical books in phlebotomy, EKG, Telemetry and patient care technician. Professor Kimmel has over 20 years teaching in the metro Detroit area at local colleges and Universities such as Lawrence Technological University, Oakland University and Henry Ford College.